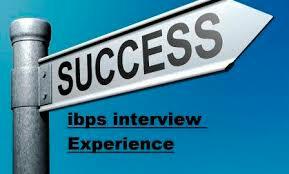 Dear Readers, We are sharing IBPS PO-VI Interview Experience 2017 of our reader Ms. Shalini. When I opened the door all of them were discussing something among themselves. I was carrying a file (original mark memos) with me. M1 : He asked me to keep that file a side on the table. Good Morning Mam’ Good Morning Sir. M2: He asked me to introduce yourself. M3: She asked me why i want to join Bank after B.tech? M4: Tell me about lucky grahak yojna? M5: What are mobile wallets? M1: Tell me about BHIM aap? M2: How this year budget different from previous year budgets? When budget presented first time in India?